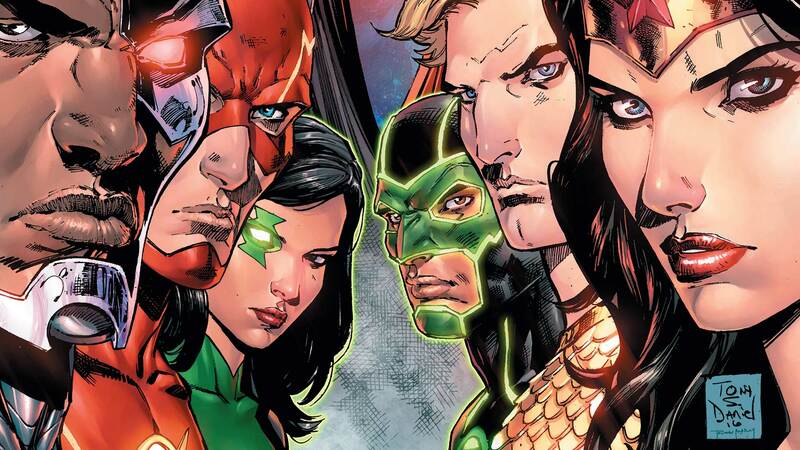 This week DC comics are releasing Justice League Rebirth #1. Now say what you will about some of the recent DC events but these Rebirth titles have been amazing. I’ve not read one I haven’t loved. What they are doing with the characters and the stories is amazing, nothing in comics is permanent and DC are just having run telling some great stories at the moment. So far it feels like Rebirth has been the first big event for a long time that’s been done in a way you can read one series or read several and it makes no difference. At the moment I’m really bought into Action Comics and even though all the DC comics overlap a little it’s fine just reading one or two and you still get a good feel for the overall story. What they have done with Lex Luthor is beautiful too. I love seeing him wearing that Superman shield and cape. Justice Leaguue #1 – Spinning out of the events of DC UNIVERSE: REBIRTH #1, a new day dawns for Earth’s greatest heroes as they welcome three new members to the team, including…Superman? Who is this strange visitor from a dead world—and can he be trusted? Batman and Wonder Woman aren’t so sure.